I am having coffee with a friend on the patio at Starbucks. I notice the teenagerish golden retriever, past the puppy stage, but not quite a full grown dog, hanging out of the back window when a car drives up, but we are deep in a discussion about aging parents, and I don't pay much attention. Or I don't pay much attention anyway until I feel a wet muzzle under the table, pawing at my hand. The woman tries to drag her dog away, apologizing that her dog, a total stranger, is now licking my hand. My friend, Terri, just rolls her eyes. She knows me. "She's used to it," she says to the woman. "She's a dog person. Strange dogs come up and lick her all the time." My new friend, Mavis and I have exchanged pleasantries. I learn that she is seven months old, and has a sister, Mildred, that's a dachshund. I tell her Mavis' mama how much I love golden retrievers, and how much I miss Ramsey, the fifteen-year-old golden I lost about five years ago. She tells me puppy stories of chewed up shoes and neighborhood escapes. All the while, Terri watches in amusement. Fifteen minutes later, the woman ties my new friends to a table and heads inside to buy her coffee. Terri shakes her head and says to me, "Carol, when the boys are gone, you need to find a volunteer job at a shelter, or with an animal rescue or something. That dog thing…"
I'm not quite sure when this dog thing came into play, but I'm pretty sure Terri's right. Take last night, for instance. I am walking my dog, Star, down 17th Avenue. The houses on 17th are big and stately (nothing like my 1200 square foot bungalow), and many have wrought iron fences around their front yards. Star and I are marching along, minding our own business when a huge black lab, carrying what's left of a blue Nerf football, lopes up to the fence to say hello. I acknowledge him and he hurtles his ball over the fence. "You want to play?" I ask, stopping my dog to pitch the ball back over the fence. Star and I continue or walk, but we have not gone 25 feet when the blue partial football lands in front of me again. I pick it up and hurl it back again. And again we continue our walk. And once again, the ball lands in front of me. As I throw it back a third time, I wonder how many times a day this crazy guy finds a playmate. I wonder how many people are stupid enough to stop and play ball with a strange dog, or whether this crazy guy ever encounters someone who leaves his ball on the wrong side of the fence. I can't help throwing it back. It's that "dog thing." And then there is my current obsession. Several weeks ago, a friend introduced me to a new website. Www.explore.org has webcams in various habitats and locales all over the world. Right now, one of their cameras is set up in a whelping pen at the Warrior Canine Connection, an organization that raises golden retrievers and labs to become service dogs for veterans with mobility issues. Interestingly, the service dog puppies are actually trained by other veterans from Walter Reed Hospital, working in conjunction with a certified service dog trainer. Training the service dog puppies is part of the soldiers' therapy to recover from their own injuries. On June 24th, Holly, a golden retriever mama, gave birth to six puppies. The puppies will eventually go into training to become service dogs (they already know how to sit! ), but right now, they are just roly poly bundles of fur, playing jungle gym on top of their mother, biting each other's tails, and ferociously wrestling with a plethora of toys. The camera is on 24/7 and I can't even tell you how many times a day I have to check in with the puppies. It's that dog thing. Next year, after the boys are both gone, I am thinking I will need a new hobby. Not sure whether I will work at the Dumb Friends League, or foster for the Golden Retriever Rescue, or work with a service puppy, but I'm pretty sure I will do something with dogs. I just can't help that "dog thing." Mickey Cray had been out of work ever since a dead iguana feel from a palm tree and hit him on the head. The iguana, which had died during a hard freeze, was stiff as a board and weighed seven and a half pounds. Mickey's son had measured the lifeless lizard on a fishing scale, then packed it on ice with the turtle veggies, in the cooler behind the garage. This was after the ambulance had hauled Mickey off to the hospital, where doctors said he had a serious concussion and ordered him to take it easy. And then I went on a kind of bibliophilic (is that a word?) overload, like I always do at Tattered Cover, and forgot all about CHOMP. A couple of weeks later, I read Bill's review at LITERATE LIVES, and requested the book from the library. CHOMP is typical Hiaasen-- a little ecology, a little humor, and a little mystery- rolled together to make a really great story. Mickey McCray, an "animal wrangler" in the Florida Everglades, who provides animals for television shows, photo shoots, etc. His son, Wahoo, has grown up with an alligator named Alice, Beulah- a fourteen foot python, racoons, and all kinds of other wildlife in the back yard. Mickey's accident has rendered him unable to work and the family is in dire financial straits. Wahoo's mom, a linguist, takes a job in Shanghai to support the family. Shortly after she leaves, Wahoo takes a call from a representative of Expedition Survival! a reality television show. Each week Derek Badger, a "faux survivalist" is placed in a different locale and must "fight" his way out (The show, like most reality television, is a total fake--Derek Badger actually spends his nights in a five star hotel and is brought in by private helicopter every morning). Badger's show is coming to the Everglades and wants to use the McCrays' animals and expertise. The McCrays, desperate for money, accept the job. 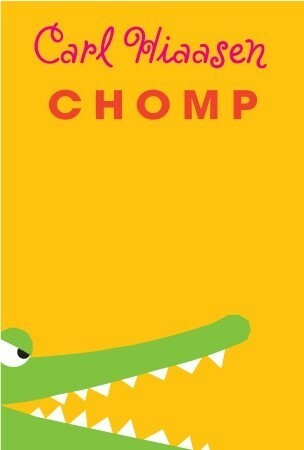 CHOMP was a great read. Loved Hiassen's characters- Wahoo, a typical, not totally sure of himself adolescent boy, his classmate and friend, Tuna, a girl living in a trailer in the Walmart parking lot with her abusive, alcoholic father, and Derk Badger- the fake reality naturalist. Derek Badger's encounters with the "natural world" are hilarious-- especially loved the one where he tries to ride Alice, the very real alligator, across a pond, and another one where he decides to eat a bat, who does not want to be eaten and attaches himself to Badger's lip. And then there's Hiassen's really skillful way of weaving information about animals of the Everglades into the story. A terrific read for upper intermediate or middle school readers! And adults! Last Friday morning, I got up early, like I usually do, to write my Poetry Friday post. I got online and discovered that the entire world, or at least the world in my town, had changed. There had been a shooting. In a movie theater. Less than ten miles from my house. Twelve people were dead. Fifty-eight others were injured. I never wrote a post. Instead, I spent most of the day watching the news. Waiting to hear if I knew anyone. Thanking God that neither of my boys and none of my students had been there. Weeping for the people who had lost family members and friends. And for a week now, I have been trying to make sense of a completely senseless situation. Many people are mad at the killer. I'm not. The image of his dad, dressed in a blue plaid shirt and khaki pants, carrying a small tan duffel bag, and boarding a plane to come to Colorado plays in my head, over and over and over again. And I just feel horribly, horribly sad that our world has come to this. All week, the line, "Rage, rage, against the dying of the light," memorized many years ago, in high school or college, has played, over and over and over again in my brain. I kept thinking that it was a perfect chorus for this situation and that we as moms and teachers and ordinary people need to come together and rage against the darkness and the evil that seems to be so prevalent in our world. I decided that I wanted to use it for Poetry Friday. I couldn't remember exactly where the line came from. When I searched online, I discovered that it was from Dylan Thomas' "Do Not Go Gentle Into That Good Night," and that he had actually written it for his father. I guess then, it doesn't really fit this situation exactly, but since that is the line that has danced in my head all week, here is the beginning of that poem. As I was looking for "Rage, rage against the dying of the light," I stumbled across "Blood" by one of my favorite poets, Naomi Shihab Nye. It's actually much more appropriate for this situation. I include it, here, then, too. …I call my father, we talk around the news. 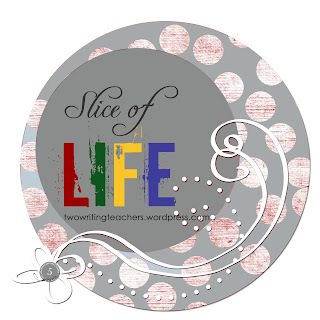 Poetry Friday is at Life is at Life is Better With Books. 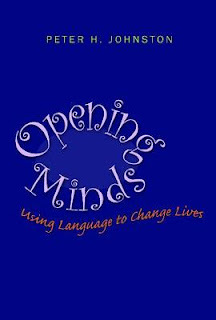 This is the third week of our summer Cyber PD around Peter Johnston's book, OPENING MINDS. This week we are looking at Chapters 7-9. The conversation this week is being hosted by Laura at OUR CAMP READ A LOT. Tomorrow night there will be a conversation on Twitter. And next Wednesday, you can come back here. 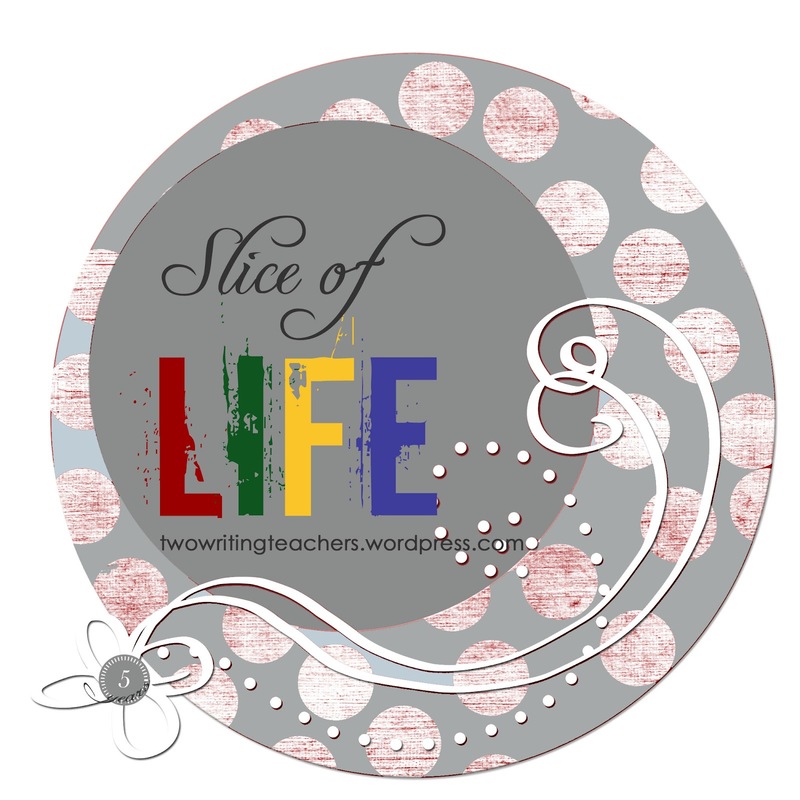 I'm going to host a wrap up week for people to share their final thoughts, or tools they have created for their classroom, or their top ten quotes, or ??? It's almost ten o'clock on Wednesday night. My post should have been up this morning. I'd already finished the reading and I'd even typed up my notes but I'm having trouble pulling anything coherent together. I think it's partly because I have way too many voices in my head tonight-- all of the voices link to the reading from OPENING MINDS, but none of them quite fit together perfectly. So maybe I won't even try. Maybe I will just touch on each chapter and somehow all of the pieces will come together. 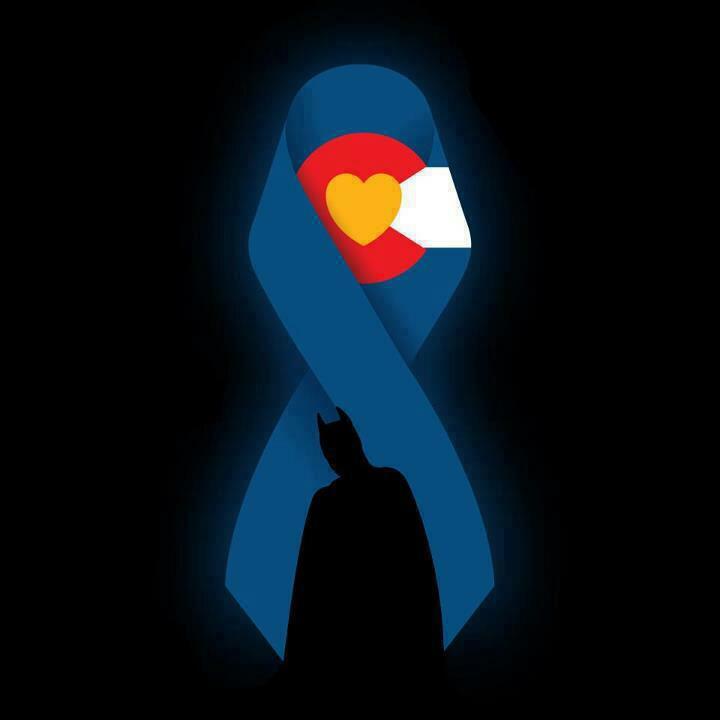 Life in Denver this week, as you might imagine, has been hugely impacted by last Friday's movie theater shooting. As I am reading Johnston, I can't help but think of that shooting. It's absolutely inconceivable to me that someone could feel so, so, so disconnected from humanity that they could commit such a heinous crime, and I wonder what events in James Holmes' life could have caused him to disconnect like that. I wonder what his school years were like. Did he have friends? Was he bullied? Wasn't there anyone around him-- a professor, a classmate, the apartment manager-- that noticed something was wrong? Today, there is new information that Holmes sent some kind of a notebook to a psychologist or psychiatrist at the med center where he was attending school, but somehow it didn't get delivered or didn't get opened until it was too late. In my mind, there are huge implications for me as a teacher. Moral development does matter, and it matters a lot. Kids have to be able to care for each other, to take the perspective of another, to not bully, and to not allow others to bully. They have to have "moral engines" to know how to stand up for what is right and to notice and reach out to others who are hurting. As Johnston suggests, we can't put kids' academic, social, emotional and moral lives in separate compartments and only address the academic one at school. Humans just aren't wired that way, and as teachers, we have to acknowledge that. I know from experience, that it takes a lot of hard work to get children to have those conversations with each other, without me at the center. And I wonder how, as a coach, especially given that I don't even think I'm all that great at facilitating these conversations, I can support teachers in this endeavor. Even so, I know those conversations have to happen. Johnston quotes Mary Cowhey, who says, "The real test of a dialogic classroom is to have the least empowered children, the least articulate, take a leading role in that dialog while the more articulate children thoughtfully listen and consider things from their classmates perspectives before they comment or question" (100). I think Johnston's work is incredibly important to the work that we are going to be doing around implementing the Common Core Standards and I wonder how I can weave his thinking into our conversations and professional development. I'd love to do a book study, and maybe some teachers will be interested, but I also know that they are going to feel overwhelmed with everything that is on our plates this year. I'm thinking about collaboration, too, when it comes to working with the adults. My job is to work with teachers individually, in grade level teams, and in larger groups. I've seen the power of collaboration and strong teams, and I want to do all that I can to facilitate that. I think I will share these quotes from Johnston tomorrow, when the leadership team meets at our school to plan out the first five days of professional development. Finally, we have talked a lot about college and career readiness at the Leadership Institute this week. Peter Johnston speaks loudly on that issue too. If the “American dream has a lot to do with the pursuit of happiness,” neglecting broader aspects of children’s development will lead neither to happiness nor to economic security. Happiness matters, even if you focus on economics. Happy teenagers ultimately have much higher incomes than those who are less happy, even after accounting for family income and grades. But happiness, it turns out, is made up of three parts: “the pleasant life” (pleasure), “the engaged life,” and the "meaningful life", and pursuit of the latter two, meaning and engagement, are the best predictors of life satisfaction. 114. Lots of voices in my head this week. Hoping I will be able to make some sense out of them and pull together a coherent whole over the next few weeks. It's been a hard week in Denver. On Thursday night, I went to bed at 11:30. And everything was fine. Five and a half hours later, I got up and discovered that nothing was fine anymore. There had been a shooting in Aurora. Seven or eight miles from my house. At a theater I know well. Century 16 is where we went when my son turned 8. The first summer after I adopted him. We saw PIRATES OF THE CARIBBEAN. It's where my boys learned "movie manners." Where I saw ET and PASSION OF THE CHRIST. Where many of my students go to the movies. And now there had been a shooting. Twelve people were dead. Fifty-eight more wounded. I watched the news in horror. A man frantically waving a xeroxed picture of his son, later confirmed dead. Moms standing in the parking lot at Gateway High School, weeping as they hug teenagers they thought that they might never seen again. Exhausted rescue workers standing guard as police and FBI detectives collected evidence inside the theater. I thought, as did most people, that I would probably know someone who had died, or been injured. I expected that at least one student from my school would be on the list. So far, though, I have had only distant connections. A principal in Denver lost her six-year-old great niece. That little girl's mama is paralyzed from the waist down. A man from my church, but not someone I knew. A high school friend of a checker at my grocery store. And a congregant of a pastor friend, who was shot in the head, but somehow, through a previously unknown abnormality in her skull, is miraculously ok. Many others have not been so fortunate. There are twelve victims--Alex, the young man whose father had the picture- celebrating his 27th birthday with friends, and preparing to celebrate his first wedding anniversary that weekend. A single mom with two little girls. A baseball player who had just graduated from high school and was planning on attending art school in the fall. A Subway store worker. Three young men who died trying to protect their girlfriends. Two soldiers. Many others are still hospitalized. A pastor from the Denver Rescue Mission, shot in the shoulder and leg. A former college running back, shot in the leg. One man, an aspiring comedian, shot in the head, is in a coma. His wife was with him, but was not injured. Last night, she was in labor, giving birth to their first child. Others, not physically injured, have had their lives profoundly changed. Two hundred people were in that theater. Hundreds more were in other theaters in that complex. Probably fifty others worked at Century 16. Hundreds of emergency responders- policemen, firemen, ambulance drivers, doctors, nurses, other hospital workers- have also been impacted much by this tragedy. The people who lived in the shooter's apartment building have still not been allowed to return home. I have cried much these last few days. As I watched the news. As I drove by the site of the shooting on Sunday on my way to church. As I attended the Community Prayer Vigil on Sunday night. And as I watched the shooter, James Holmes, in court. People are, understandably, really, really angry at James Holmes. I'm not. At least not right now. I feel only a huge and profound sadness, that someone could be so, so, so alone, and so disconnected that they would be able to do something like that. There's lots of speculation that Holmes is mentally ill, possibly schizophrenic. I think something like that is probably true. And I feel sad that he could live in my city, and be so unknown and so unseen, that he could purchase all of that weaponry and ammunition and war gear, and spend months planning his crime and booby trapping his apartment, and no one even noticed. No one reached out, no one called the police, no one got him the help he clearly need. I have wept, too, for James Holmes' parents. I have imagined what it would be like to be his mom, getting that phone call in San Diego early Friday morning. I watched his dad, in a blue plaid shirt and khakis, carry-on in hand, as he walked to police car, preparing to come to Denver. I have thought about him, sitting completely alone in a motel room, somewhere in my town. James Holmes committed a crime that is beyond horrific. And at the same time, he is still their child. I weep with them. I wonder about James Holmes as a child. People have described him as being shy, a loner, and I wonder was he bullied to beyond his breaking point? Was there someone who could have reached out and protected him? Have I allowed that to happen to a child? Have I done everything that I can to teach my kids, and my students, to be "upstanders," not only to be kind, but to also protect those around them? To look out for others? To have enough empathy to reach out to someone who is totally alone, even if it might be at the expense of a little loss of your own social standing? Am I teaching kids to be bold enough to advocate for people who are too sick, or too weak, or too lost to advocate for themselves? To be on the lookout for others who might need help? I'm thankful for books like WONDER and HOW TO STEAL A DOG. I'm really glad I have books like those to teach kids about kindness and empathy and compassion. And I'm thankful for books like Peter Johnston's OPENING MINDS. Johnston talks about how we can use language to help kids learn to see the world from other's perspective. And develop a social conscience. And at the same time, I wonder, as a teacher and as a mom, and as a human being, have I done everything I can to make the world a safe place and a kind place? Sometimes when there are no words, books can help. They give us a mirror into our souls. And a window into the world. And, if nothing else, they cry out, "You are not alone." I am always on the lookout for books to add to my arsenal of "You never know when you might need a book about…" I stumbled across two new ones this week. Both are books about girls who are dealing with their mom's cancer, and might, I think, be helpful to kids struggling with this issue. BRUSHING MOM'S HAIR by Andrea Cheng is not a brand new book (it was published in 2009), but it's new to me. The book, a series of poems, follows 15-year-old Ann as she copes with her mom's breast cancer surgery and the treatment that follows. Ann, a dancer and poet, has all of the typical adolescent worries- what to wear to a school dance and whether her sprained ankle will heal enough to allow her to participate in dance classes- but these are greatly compounded by worrying about her mom-- how can they get her to drink the required 80 ounces of water, do Ann and her sister Jane have the breast cancer gene, and whether Ann's mom will recover. Ann copes with her mom's illness through her dance and art classes. Her mom does eventually recover; in later poems she and her daughters watch the crocuses bloom in the yard, and work around the home. 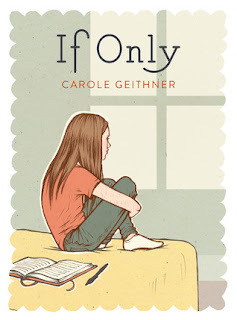 The book is realistic and yet hopeful, and would be perfect, I think, for an upper intermediate or middle or high schooler in a similar situation. IF ONLY, by debut YA novelist Carole Geithner (a grief counselor who also happens to be married to US Treasury Secretary Timothy Geithner) is a very different novel. Thirteen-year-old Corinna's mom is diagnosed with cancer and given four to six months to live. When the book opens in August, Sophie, a concert musician, has just died, and Corinna and her father, a high school teacher, are trying to regroup and get themselves ready to go back to school. "If seasons were tubes of paint, last fall would have been deep, dark black," Corinna says. "Winter was also dark, but more like a foggy gray with lots of huge black blobs mixed in. . . . Grief is hard. Really hard. And you can't put the cap back on when you want to, like you can with a tube of paint." Everything is hard. It's hard when the secretary in the office says, "Why didn't your mom send the enrollment form back?" It's hard that Corinna's best friend, Joci, only came over once the whole summer and doesn't seem to understand Corinna's sadness. It's hard to concentrate on algebra or focus during soccer practice. It's hard to be around Sophie's best friend, or the elderly neighbor who wants to help, but really seems more nosy than anything. Corinna's dad tries to be there for her, but he is dealing with his own grief and sadness. And he doesn't know how to do things like take his teenage daughter for haircuts or buy clothes at the mall. Corinna finds solace in her dog, Maki. She writes in a journal (but not the fuzzy pink one that her mom's best friend gave her). She makes a new friend, Claire, whose father died three years earlier. She participates in a grief group at school. And gradually, over the course of a year, she and her father begin to heal, and find a little joy again. I loved both of these, because you never know when you might need to say to a child, "You are not alone." Last year I did the cyber PD on Patrick Allen's book on conferring. And loved it. I loved talking with people from all over the country about some really big ideas. Those people really pushed me as a thinker, teacher, and learner. Not sure, why, then, I hesitated about joining the conversation this year. Maybe because there are several other professional books I need to read. And I'm working on my Spanish. And it just felt like a lot. But then I read everyone's posts last week and couldn't stand not to participate. So I ran and bought the book. And thought I would do an extra post during the week to catch up, but somehow I didn't get it done. And now it's almost 9:00 on Wednesday night and I'm just finishing my post for this week. I'm finding OPENING MINDS to be really, really rich. It's not long, and it's not hard reading, but the ideas are so big. And I can only digest little chunks at a time before I need to stop and reflect and take notes about how I want to use this information. And then I think I've got it, but every time I reread a chunk, I pick up something new. I'm having a hard time, then, pulling together a coherent post. Tonight I'm thinking about Johnston's information in three different contexts. First, I'm thinking about this as a teacher. I completed my dissertation, a study of how third graders use portfolios to develop a self-extending system in reading and writing seventeen years ago, and to some degree, I have spent the better part of the last two decades looking at how kids use language to guide their behavior. Some things Johnston talks about then, are not new to me. I never, for instance, say to kids, "I like the way…" I do sometimes say, "If you are not sure what a scholar looks like right now, you could look at ____ because she is (and then I name the behaviors). I'm actually wondering if Johnston would find that too teacher specific. I try to be really clear and specific in my feedback, "When you didn't know that word, I saw you cover the suffix with your thumb, and then go back and reread to see if it was making sense." Last school year, the power of the dynamic learning stance was brought home to me (for about the 700th time) when I taught my fourth graders long division. The day we started the unit, I told my students that we were going to learn one of what I thought might be the hardest math concept we were going to work on all year. I told them that we were going to persevere until everyone had it, and that no one could say, "I can't do this," but that they could say, "I can't do this yet." Amazingly, within about ten days, every single kid, no exceptions, had the hang of long division. The word yet was magical. This year I am going back into the role of literacy coach. As I am reading OPENING MINDS, I'm continually thinking about how I can share Johnston's work with the teachers I will be coaching. I'd love to do a book study, but my district (like many others) is focusing pretty heavily on Common Core Standards this year; so I'm thinking that if we do a book study, it will probably have something to do with that. At the same time, I'm bound and determined to share this work with my teachers. I think it has huge implications for them in working with kids; but I also wonder whether OPENING MINDS might have has huge implications for me. I wonder, for instance, how I can help my young teachers to to develop procedural narratives about their teaching; and what kinds of questions I might ask to help them be reflective about what worked, and what strategies they used. I think of all of the teachers who have said to me, over the years, "I'm not good at teaching writing," and I wonder how I might help them move from that fixed world view to a more dynamic one, "I'm not good at teaching writing yet." I am also fascinated by Johnston's discussion of dialogic thinking. Most of us who have coached, or done professional development, or sat on school committees, can think of how different people's input affects conversations and/or group dynamics. And I wonder how, as a literacy coach, I can create discussion formats, (I'm thinking of some of the Critical Friends protocols), that really open up conversations, allow a variety of voices to be heard, and invite multiple perspectives. I also have to admit to one bit of skepticism about Johnston's take on dialogic conversations and the construction of knowledge, especially when it comes to content area reading or professional development. While I truly believe that such conversations can aid in the construction of knowledge and yes, moral development, as Johnston suggests in Chapter 6, I also believe that there are times when people just flat out need a little information from a more knowledgeable source. I think about some graduate classes, where the professor let us construct everything. I loved working with other people in groups, but there were some times when I just wanted to hear what the professor had to say. She already had her masters, and her Ph.D. She clearly knew more than I did. I wanted to hear from her. Not a two hour lecture, but fifteen or twenty minutes that would push my thinking, or add to the material I was using to construct knowledge. I have felt similarly in some of the new teacher inservices I have attended or observed or facilitated. I don't think it's entirely helpful for new teachers to talk JUST to each other about strategies when they really don't have that many strategies in their bag of tricks. Sometimes I think it's equally useful to introduce a new strategy, then let them reflect on how they might use it. Finally, I'm thinking about Johnston's work from the parent perspective. I wonder how I might use some of this language with my own sons. My boys are not "school kind of kids," at least not yet anyway. I wonder how I can talk to them in ways that will promote a more positive and dynamic stance. How can I help my Son #2, who is brilliant, but hates school, to want to put forth the effort to graduate this year? And how I can help Son #1, living in an apartment and starting junior college, to develop procedural narratives that will help him be more successful in school, and more vocal about his needs as a learner. 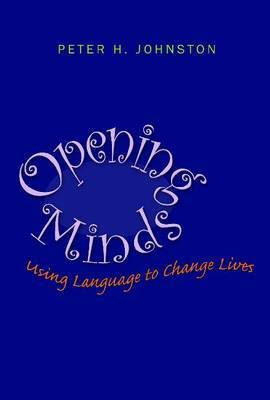 OPENING MINDS is giving me lots to think about as a teacher, a literacy coach, and a parent. Jill is hosting the conversation today at My Primary Passion. Be sure to stop by and see what others are thinking. After a couple of not-so-great reading weeks, this week was much, much better. 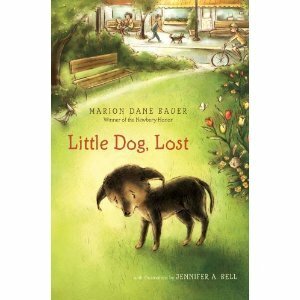 My favorite reads this week included LITTLE DOG, LOST, a novel in verse by Marion Dane Bauer, and book, FREEDOM SONG, a new picture book about the Underground Railroad. 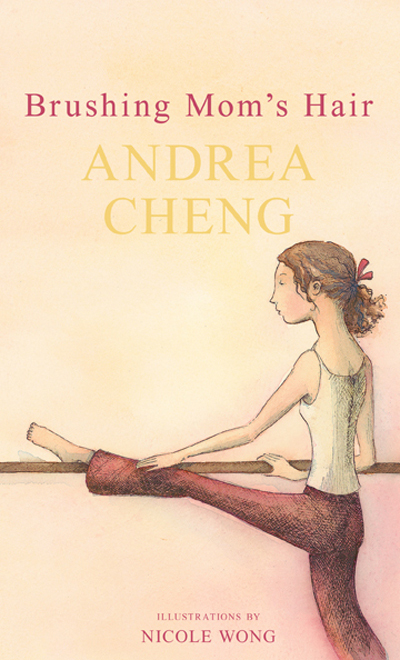 I also read two great YA novels about middle school girls dealing with cancer in their families: BRUSHING MOM'S HAIR by Andrea Cheng (also a novel in verse) and IF ONLY by Carole Geithner. And I'm working my way, slowly, through Peter Johnston's CHOICE WORDS, in anticipation of participating in this week's cyber pd, and also WHAT READERS REALLY DO, by Dorothy Barnhouse and Vicki Vinton. At the library last week, I picked up Jerry Spinelli's latest offering, JAKE AND LILY. 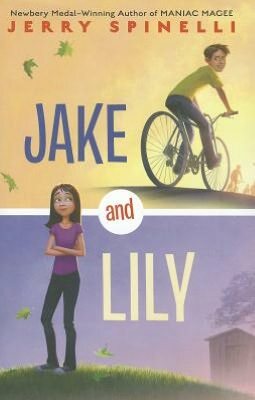 Jake and Lily are ten-year-old twins. They have always been super, super close-- they share a bedroom, finish each other's sentences, and even share each other's thoughts, a process they call goombla. Unfortunately, things change. The twins are growing up, and their parents think it's time for them to have their own bedrooms. Then Bump Stubbins, the neighborhood tough guy, forms the Death Rays, a "gang" (as a teacher in an urban setting, where actual gangs have spent the summer shooting at each other, I was not totally comfortable with this choice of words) and invites Jake to join. The Death Rays spend much of their time riding around town looking for "goobers," people who are a little different, or quirky. Bump is the head "goober scouter, and one day he comes upon Ernie, a kid that has just moved to town, building a clubhouse in his backyard. Bump immediately decides that Ernie is a "super goober," who should become the Death Rays main source of entertainment. Every day, they ride their bikes to his house and spend hours watching him build his club house, and making fun of him. Ernie, as a "super goober," seems completely unaware that the boys don't want to be his friends or join his club. As a reader, I had lots and lots going on-- huge discomfort with the way the Death Rays were treating Ernie, and almost a disbelief that Jake, who seemed like a really nice kid was part of something so mean. And in the meantime, Lily is still trying to figure out the separation thing, and seeking comfort and advice her grandfather, Poppy. I am always on the hunt for great intermediate grade picture books, especially those that I can use for science or social studies. I found a terrific new one during this week's visit to the library. Mama's cooking grew Henry tall. Papa's stories grew Henry smart. The whole family's love grew Henry strong. As Henry worked 'neath Virginia's hot sun, he sang his workday song. it's lift, tote, toss-the sack words sent strength to his arms. As a young man, he was sent to work in a tobacco factory. There music soothed his homesickness, and there he met Nancy, the woman who would become his wife, and the mother of their four children. Henry was papa proud when his first child was born. He named his son, held him high to the sky. at night, Henry sang him a cradle song. Its low, restful, close-your-eyes words rocked the baby to sleep. One day when Henry was at work, a friend came to tell him that Nancy and his four children had been sold. Henry chased them down, but was unable to stop his family from being taken away. Henry did still have a song. His freedom song. And it's think, plan, take-yourself-to-freedom-land words were getting stronger every day. After Brown's family was sold, he became determined to escape. He built a box (approximately 3 ft. X 2 ft. x 2 ft) and with the help of an underground railroad conductor, shipped himself to freedom. Brown endured a bumpy wagon ride, the heat of a train car, and then a ride on a steamship. At several points, he was upside down, one time for twenty miles. Brown arrived safely at his destination (Don't miss the author's notes, which include a letter from James McKim, who received Henry's box at the Anti-Slavery Office in New York). Sadly, no one knows if he was ever reunited with his wife and children. Sean Qualls' illustrations done mostly in blues, browns, blacks, and golds, are absolutely perfect. They kind of seem a cross between two other favorite picture books, BUSING BREWSTER and UNDERGROUND. 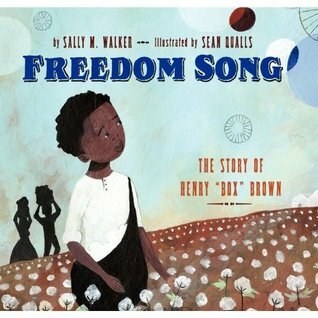 Definitely a book to add to your collection of picture books for intermediate grade (or middle or hishg school )students, or to a study of the Underground Railroad. This would also be a great mentor text for helping kids to understand the importance of listening to how your writing sounds. A terrific read! I am really trying to NOT buy books right now (Note to Son #1: Your mother loves you and is trying to make sure there are adequate funds to keep you supplied with Inn-n-Out burgers for the year). Toward that end, I have been making weekly, or twice weekly trips to the library all summer. My first stop is always the "New Books" shelf. Yesterday I came across LITTLE DOG, LOST. And because it was a dog story, I had to check it out. And then I had to come right home and sit down and read it. LITTLE DOG, LOST is a novel in verse. There is a boy, Mark, who is probably about ten. Mark lives with his mother, who is the postmaster and the mayor, in the small town of Erthly. And Mark really, really wants a dog. He had asked for a dog. He had begged for a dog. He had pleaded and prayed and whined for a dog. Once he had even tried barking for a dog. His mother always said, "No!" And of course there is a dog in the story. just beneath her black whip of a tail. until no one called her anything at all. There is also an old man, the caretaker of a giant mansion in the middle of town. and a large Milky Way candy bar. Mark finally decides that if he can't have a dog, he will campaign for a dog park for his town, so that he will at least have a place to play with other people's dogs. And it's at that point that the lives of Mark, Buddy, and Mr. Larue intersect. LITTLE DOG, LOST is probably a little bit predictable, but it's a really sweet story. That I might use in a study of novels in verse. Or characters. That I would definitely hand to the dog lovers in my class. Or I might hand to one of my best intermediate grade readers because it's just a really nice, and pretty quick, read. Or to one of my most tentative readers because it's not too hard and there are illustrations to support the text. And a warning: This book made me cry. Act 1: Tuesday, 10 a.m. Setting: Book room at school where Carol is trying to bring some order to a ginormous room of books. She remembers she is supposed to call and set up Son #2's eye surgery. 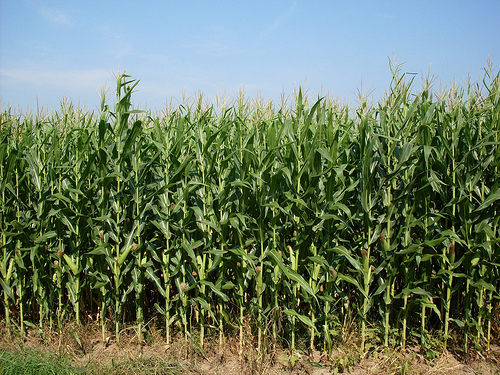 Fifteen minutes later, the surgery is scheduled for July 12 at 11:00. She texts son to tell him, then goes back to work. Phone vibrates. A message from son #2. Why do I have to wait sooo long? She texts back. No surgeries this week. Holiday. He texts back. Earlier next week? She texts back. Let me check. Stops work to call eye doctor. He can do it Monday the 9th at 3:15. She texts son. Monday the 9th? But you would have to miss football scrimmage. He texts back. That's ok. I need to get this done. She calls eye doctor and confirms. She texts back. Followup at 9 on Tuesday. She realizes she has a district class schedule that day. Emails instructor to tell her she will be late. Place: Home. Mother is out pulling weeds in her jungle garden. Son comes out with his longboard. Son: Is it possible to reschedule my surgery? Mother: I don't think so. It's tomorrow. Why? Son: I think it's too soon. My other eye (which had surgery about ten days previously) still needs time to heal. Mother: The doctor said it's healing really well. He thought it would be fine. Son: Well I want to reschedule. I'll call. Just leave the number on the table. Mother: All right. You call though. I'm not rescheduling it again. Mother goes inside to look up number. Son goes off on his long board. Mother writes number and puts it on corner of table. Son comes back from longboarding. Mother: I put the number on the table. Son: I don't need it now. I'm just gonna do it. Mother drives through a monsoon to take dog to vet for shots and a sore foot. $291. Mother drives through a monsoon to go to bank. Mother comes back to get son for surgery. Son, who has been driving for approximately six months, critiques mother's driving all the way to the hospital. Mother, who has been driving for 35 years, tries really hard to just keep her mouth shut. Mother fills out paperwork. Son goes off and sits in another part of the waiting room by television set. Mother thinks son does not want to sit with her. Mother reads her book. She can see son from where she is sitting. She thinks son knows she is sitting there because that is where she has been sitting since they walked into the waiting room. There is only one door out of the waiting room. Son is sitting by door. Doctor is running very late. Finally son's name is called. Mother thinks that nurse will take son back, then come back and get her in 15 or 20 minutes because that is what happened with previous surgery. She does not get up. Son gets up and goes out in the hall. Mother wonders what he is doing. Son comes back in. Nurse walks past mother to get pad of paper. She walks back to son. Mother hears her name. She gets up and introduces herself. Nurse: We have been looking for you. Nurse looks at mother, who looks decidedly different from son. Nurse: Do you have legal custody? Nurse: Are you his grandmother? Mother: No. I'm his mother. Nurse eyes mother suspiciously. Well, I guess it's all right. Son hisses at mother. Where were you? Mother: I was sitting right there where you left me. I didn't think you wanted to sit with me. Son: It's not my job to keep track of you. Mother: OK. Sorry about the mixup. Mother feels phone vibrating and looks down. It is a text message from son, sent over an hour ago, but just now being received. Nurse: It will be just a few minutes. The doctor didn't leave any orders so I'm trying to reach him. Her phone buzzes and she turns around to talk. Nurse: That was the doctor. He says orders are the same as last time. Let me see if I can find those. And he will see you tomorrow at 11. She leafs through son's file. Son: No showers. No driving. See him tomorrow to get this (gestures to eye patch) off. Mother: Tomorrow at 11? Our appointment is at 9. Nurse: Let me check. Calls doctor. No, he has to change. He will see you at 11. Mother makes a mental note to email instructor again and tell her she will be at the start of class, but will need to leave early. Monday, just after getting home from the hospital. Son: I'll see you later. I'm going out with my friends. Mother: Doctor said no driving until tomorrow. Son: I didn't hear that. A couple of years ago, I reviewed Amy Hest's REMEMBERING MRS. ROSSI. This book, as you may remember, is the story of eight-year-old Annie Rossi, an only child who lives with her professor father and sixth grade teacher mother. Annie's mother dies, and Annie and her father must craft a new life for their new family. I loved MRS. ROSSI and thought it would be a perfect book to a child who lost a parent. This weekend, at the library, I found LETTERS TO LEO, a new book featuring Annie Rossi. Annie has moved onto fourth grade, leaving her beloved third grade teacher, Miss Meadows, behind. And she's gotten a dog, Leo. The entire book- Annie's opinions about fourth grade, Annie's advice to Leo, her feelings about her elderly (forty year old!) father- is told through letters, written from Annie to Leo. I can picture my fourth graders really enjoying this book. There are lots of fourth gradish issues- loving a pet, leaving a beloved third grade teacher, adjusting to a new teacher, problems with friends. Annie writes poetry, including one really lovely poem about walking across the Brooklyn Bridge with her mom. And the letters are short, not more than a couple of pages each, which makes this book perfect for just getting their reading legs underneath them. Definitely one to add to your classroom library! Kind of a disappointing reading week for me. Not sure if that was because I am in kind of in the doldrums-- my son left for college (and I keep trying to figure out how the house could feel so empty and quiet with the departure of one person, who didn't say ten words on a good day?) and then our four-year-old lab ate something and had to be put to sleep)-- or if the books I read just were not that great. By far the best book I read this week was a picture book, MADAM PRESIDENT by Lane Smith. It's been out four years, probably since the last election, but I somehow missed it. 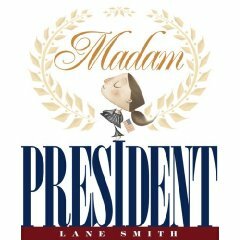 This book details the responsibilities of the president and her cabinet in typical Lane Smith fashion- slapstick humor, lots clever twists on words and illustrations. Perfect for an election year or a unit on American government. 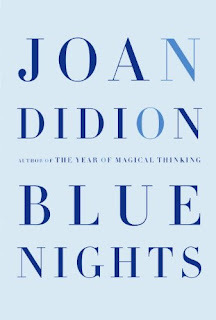 At the library last weekend, I picked up an adult memoir BLUE NIGHTS by Joan Didion. I read one of Didion's previous memoirs, THE YEAR OF MAGICAL THINKING, which described her grieving process after husband John Gregory Dunne and daughter Quintana passed away within 20 months of each other. 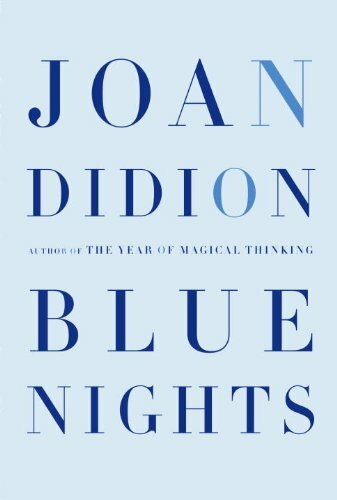 BLUE NIGHTS is kind of a continuation of that memoir, except it focuses more on Quintana and captures the regrets that Didion feels as a parent-- Were there things she should/could have done differently? Did she recognize her daughter's struggles with mental illness and alcoholism? Were there things she, as an adoptive parent could, or should, have done differently? Didion's style is pretty dark, and I'm not sure it's a book I should have read this week, but it was definitely a compelling read. I also read a couple of intermediate grade novels that I got at the library. Both of them seemed like they would be good, and started out strong, but then just kind of never went anywhere. I don't review books I didn't like, so I won't mention them here. On Wednesday, Jack, my sweet, crazy, goofy, always up for a game of fetch, scared of his own shadow mama's boy, four-year-old lab/rottweiler had to be put down. It was totally unexpected, but he was a canine garbage disposal and would eat anything- socks, underwear, cookie wrappers-- and this time, he evidently ate something that caused an intestinal obstruction, that could not be repaired. I went looking for a poem in honor of my sweet guy and found an essay, instead, so I turned it into a found poem, or kind of a poem anyway. within which a dog may be buried. strews petals on the green lawn of his grave. is an excellent place to bury a good dog. or lifted head to challenge some strange intruder. in life or in death. at long and at last. where most exhilarating cattle graze. One place that is best of all. for he is yours and he belongs there. is in the heart of his master. Tabatha is hosting Poetry Friday at The Opposite of Indifference. but they couldn't save him. The boys bang on my hotel room door. And the moment I have been dreading has arrived. I try to be matter of fact. I don’t really need breakfast,” says Isaiah’s roommate. My son, who never eats breakfast (and yes, I do understand the benefits of breakfast) concurs. We stand in the hotel parking lot. I am trying to be strong, but my shaking voice and the tears welling up reveal my true feelings. “Give me a hug,” says my never demonstrative son. I assure him that I do believe in him. Remind him one last time I love him. Tell him how much I have loved being his mom. Remind him to stay true to his dreams. And then let go. We review the map. In a form characteristic of our life, we first review the map to Glendale. I circle points along the way, about every hundred miles for them to call me and check in. And then Roommate says, “is that the same as this map?” and produces the map my brother-in-law printed out. And of course the maps don’t match, because the boys are going to spend the weekend at his condo in Scottsdale, which evidently is on a slightly different road then Glendale. And we have to start all over. Isaiah is confused, but Roommate, who doesn’t have a driver’s license and will navigate, seems clear. After transferring a few boxes of dishes and a blender from my car to theirs, we start our engines and fill the gas tanks. The no-breakfast boys load up on snacks at the gas station (every teenager eats Snickers bars for breakfast, right? ), I buy some Advil to ease the headache that starts in the back of my neck and climbs over the top of my head to my forehead, and we pull out. 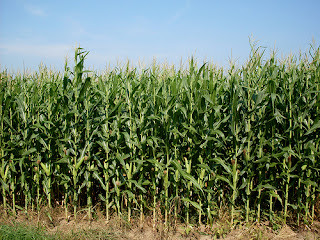 The plan is that the boys will follow me five miles down the road, I will get them onto the next highway, and then I will pull off at the first exit, and they will keep going. The freeway is a typical urban freeway, with lanes that exit, and enter. Somehow, Isaiah is in the wrong lane, and has to make a quick dash in front of me to get onto Interstate 40 to Gallup. And there he is, no longer following as, he has for the past five hundred miles, but instead, a couple of cars in front of me. And I know he is ready to go. He doesn’t need me anymore. I call to say one last goodbye. Roommate assures me that they are. I remind him to tell Isaiah to call in a little while. And then I pull off, turn around, and head for home. And my baby leaves the nest and flies.